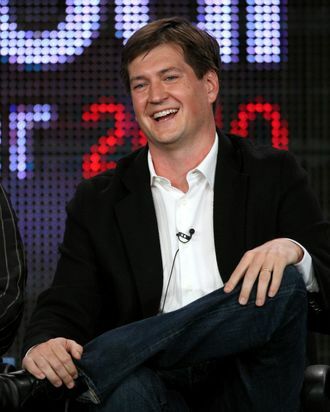 Bill Lawrence (Scrubs, Spin City) is moving to NBC after his exit from Cougar Town’s showrunner spot. Lawrence will make Ali in Wonderland with Ali Wentworth (Office Space, It’s Complicated, wife of George Stephanopoulos) based on her memoir. The single-camera comedy is “part fish-out-of-water, part love story about an impulsive, smart-mouthed young woman who is forced to move back to Washington, D.C. — and her domineering mother — for her husband’s new high-powered job,” writes Deadline. Question: fictional or actual Stephanopoulos?